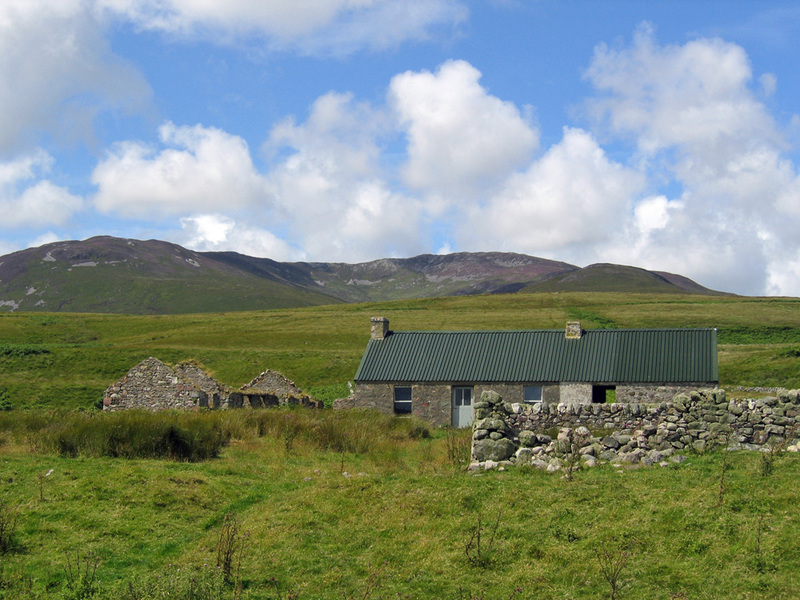 A view of the bothy at Proaig on a nice sunny day with a few fluffy clouds. Some of the hills in the south east of Islay in the background, I think Glas Bheinn (472m) just right of centre. This entry was posted in Landscape, Repost, Sunny Weather and tagged Glas Bheinn, Islay, Proaig by Armin Grewe. Bookmark the permalink.